The rotation of the motor is converted into a grip and pull movement of the clamping claws by the flexspine gear and lead screw. For clamping, the claws grip the tenon of the clamping point and pull it towards the clamping element. 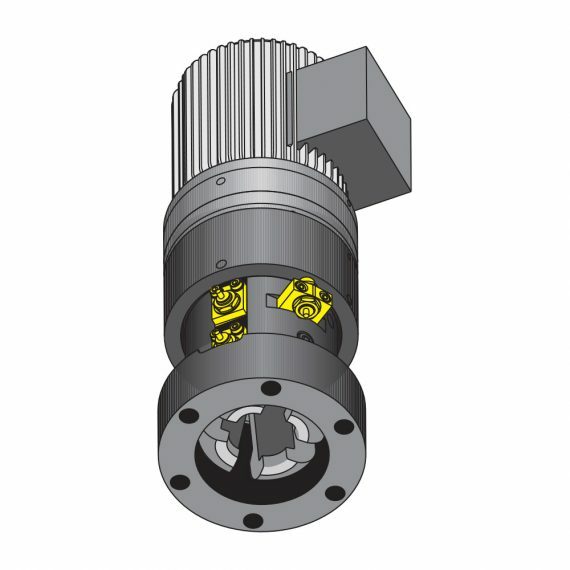 The clamping force, and the clamping and unclamping positions, are monitored by inductive proximity switches. The clamping force is maintained by self-locking.